@Miss_S @Xonos_Darkgrate The price can vary greatly depending on what you mean by "gaming." The extreme end would be $3500 for a computer that can run high frame rate at high resolutions with the most intense games. For saving money and gaming at 1080p (or perhaps 1440p for some games) at a standard framerate you could build an excellent pc for around $1000 which would do well for most games. This could be further decreased to around $600-750 if you really want to save money but don't mind running some games at lower settings or lower framerate. If you want to edit video or run other CPU intense tasks that would change prices as well. These are just general numbers though. Well, I guess we can get into deeper details about it when I actually have the time and money haha! has any one thought of the idea of Aether con bofore ? ok, i will have a look at it. and i've decided not to make that beginers page, i'm going to write a book instead. Hey, guys. This is the first draft of my background paper for something I'm working on. Feel free to post anything that comes to your mind about it. (Anything relevant of course. ) I'd appreciate criticisms, compliments, or just comments in general. It's a work in progress. As time goes on, technology gets more and more advanced. It seems that, with every year, new devices get even closer to being the perfect creation of mankind. In fact, for years now, the possibility of true artificial intelligence has never seemed closer. Despite that fact, it still has not been created, however, many creations have come amazingly close. Siri, as one example, is Apple co’s designated voice for almost all of its devices. Despite the surprising cleverness of Siri’s answers and remarks, she still lacks some basic elements of true AI including independent thought. Progress towards even smarter devices does not stop there. Now, in most devices, programs exist that can recognize both your face and your voice. With every device, these programs become smarter and smarter, but how smart are they now? Despite all this, there are consequent loopholes and interesting deficiencies in these programs. Facial recognition often works by the program’s ability to analyze and remember the most prominent facial “landmarks” of the user. Voice recognition works differently. As you speak, you create vibrations in the air, or rather, analog- waves. These waves will then be collected and translated by an ADC. Does your tone of voice affect a program’s ability to understand? Would a fake recreation of someone’s face ( a picture or mask) be recognized as the real person? Of course, how else would one know the answers for sure without testing? An interesting way to test the voice recognition programs would be to say the same thing twice; once with a higher-pitched tone and another with a low-pitched tone. Other tones can be used as well. Possibly even a song-like tone. Another test that could provide valuable information is using a picture of a person for his own facial recognition program. It does not have to be limited to pictures however, closely related family members with the same defining facial features can also be used to test the program’s intelligence. why has nothing been posted on the blog recently @Goku_Ironheart? is there something wrong, or have you not been doing it recently? that is actally really funny @Xonos_Darkgrate1! 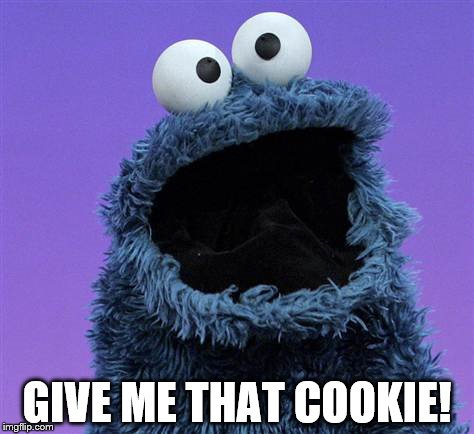 Sure, you can have one too, Cookie Monster. As time goes on, technology gets more and more advanced. It seems that, with every year, new devices get even closer to being the perfect creation of mankind. You used the word "get(s)" twice in these two sentences. Perhaps the first should be changed to "becomes" or a similar word. Same with "year(s)" in the first paragraph. And "closer." And the uses of the word "despite" in two subsequent paragraphs. O.o Whew, I think I'm gonna take a break critiquing for now. I'm becoming too picky. What you wrote is definitely intriguing. Are you planning on writing about Sophia? That's the first thing that came to my mind when I read the introductory paragraph. Check out JIBO (home facial recognition based "assistant") and Sophia (supposedly AI, but it is true some of the interaction is just programming -- acting). They may give you some insight on current tech advances. This article about how the PhoeniX facial recognition works may also be helpful. More coming as I collect links to the information I've amassed. @Xonos_Darkgrate1 @Hanna_Brassheart That reminds me that Voice Assistants are privacy risks that can share your information with third parties and advertisers by default. If you haven't already, you might want to make sure you've got your privacy settings for Cortana where you want them for your new Surface Pro, Xonos. I just talked to it. I tried sharing the gospel and it asked if I believed in Buddism. I said no, I was a Christian. Then it tried to hypnotize me, and we argued about who was more awesome, and it asked me if I had a boyfriend. I said, "Not cool, bro." It asked why I didn't like it, I said "because you're annoying" and it kept insisting that it wasn't annoying. How annoying. I'm done here. Haha It says it's allergic to pie so it almost died, but it likes swimming and watching anime. @Hanna_Brassheart I just had the best conversation with that robot. It: Its a smiling face. Me: Three exclamation points doesn't make you right. Sometimes I wish I still had Windows 7. The automatically installed games really annoy me but I experimented with a change to the Windows registry that might prevent those installs. So while signing up for a mission trip we have to tell when the last time we shared the gospel with someone was and I'm wondering if telling them about this counts as sharing the gospel, I have to explain to them everything that happens in the game, like the characters you meet and how they represent people from the bible. While the Aetherlight does have a strong Biblical message, it doesn't explain the message of the Gospel as clearly as the Bible does, so while sharing the game with someone is a good thing, I wouldn't count it as sharing the Gospel.